St. Louis — KAI Design & Build completed construction of St. Louis’ new $8.5 million Deaconess Center for Child Well-Being — a 21,272-square-foot facility providing meeting and office space for child advocates, civic leaders and community organizers dedicated to enhancing the well-being of at-risk children. Located at 1000 North Vandeventer in the Grand Center Arts District of St. Louis City, the facility was completed within just 7.5 months in December 2017. 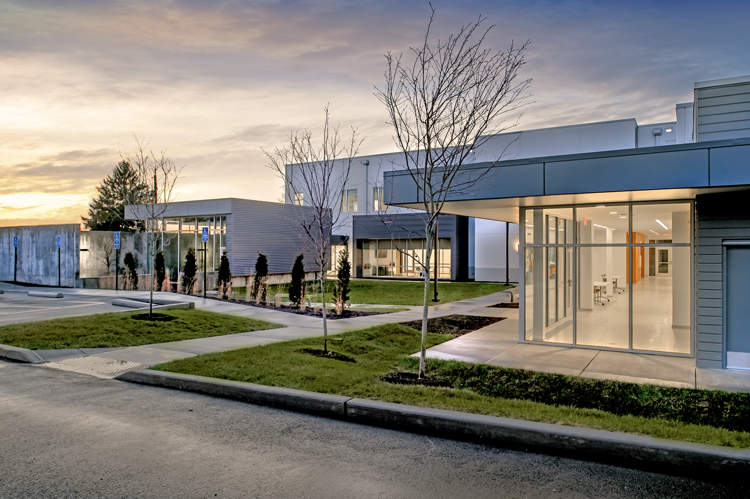 Since time was of the essence on the project, as the Deaconess Foundation’s lease at its previous office space was set to expire on December 31, 2017, the organization chose to implement the project using the design-build delivery method with the added advantage of an interactive programming and design process provided by minority-owned KAI Design & Build. The Deaconess Center is the Foundation’s first new construction in almost two decades. The design and construction of the building reflected Deaconess’ religious legacy as well as its commitment to social causes by exceeding the city’s minority participation goals. The project achieved 36 percent Minority Business Enterprises (MBE) and 3 percent Women Business Enterprises (WBE) participation. Elizabeth Noonan, an economic development professional and United Church of Christ member, served as the Project Manager and minority-owned Kwame Building Group was the Construction Manager. In order to keep the project on schedule, KAI selected tilt-up concrete construction for the building’s exterior facade to assure the fastest possible building erection, as well as used vibrated stone piers to drastically reduce the owner’s site remediation cost and schedule impact. The completed Deaconess Center provides meeting rooms, a chapel, and a large conference space for up to 125 people, as well as administrative offices for the Deaconess Foundation, Vision for Children at Risk, and Neighborhood Houses — a United Church of Christ ministry that supports low-income children and families of the inner core of St. Louis City. The Deaconess Center is expected to host more than 6,000 citizens a year in more than 250 meetings focused on children’s issues. Meeting rooms will be available at no charge to initiatives focused on improving public policy for children. Forty to fifty people are expected to work at The Center, with many re-locating from various Deaconess Foundation offices throughout the St. Louis area.